Share this product and receive a $2.45 sharing discount. Amazingly simple... that's what faith should be... simple trust. 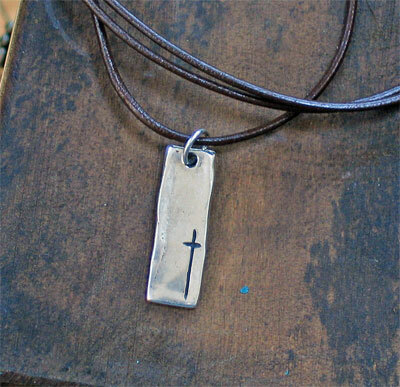 This silver handcast pendant reflects our only need in this life... Him! 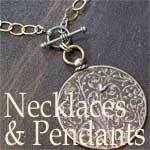 The pendant measures 1" long by 3/8" wide. It has been strung on an adjustable black or brown leather cord. Please specify.